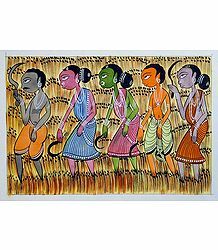 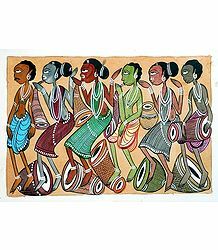 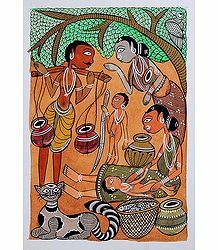 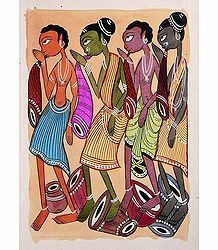 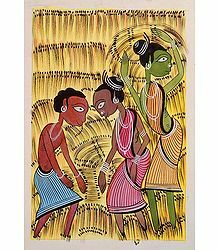 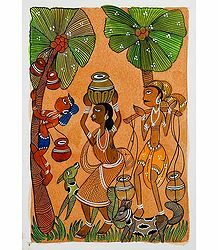 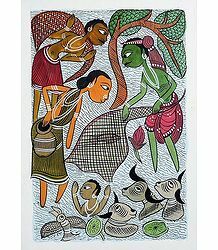 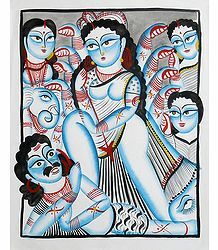 Kalighat Paintings are a group of paintings, which have their roots in cultural upheavals of 19th century colonial Bengal. 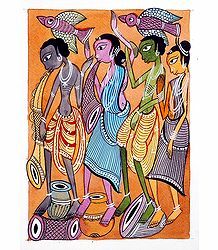 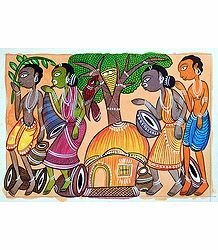 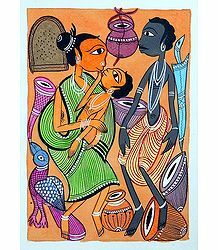 Kalighat Painting is a legacy, which help us understand the mode of life at the time of their creation and immortalise events which would otherwise be lost to future generations. 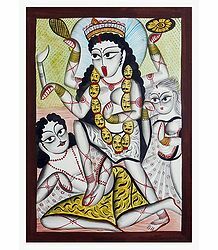 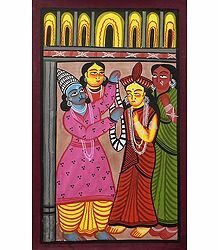 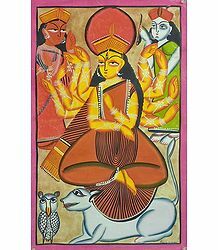 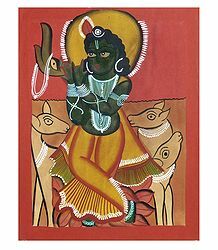 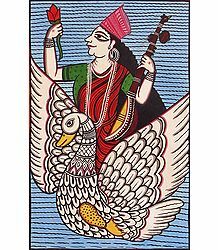 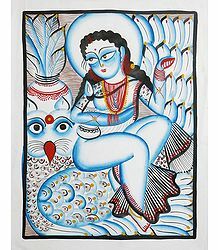 Kalighat painting was mainly depictions of Hindu god and goddess including their various incarnation. 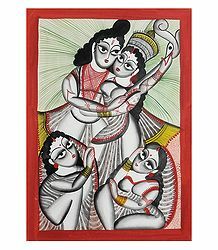 But over a period of time the influences expanded and Kalighat Painting became a reflection of the society of their time. 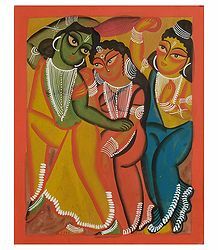 The artist used this medium to record his impression of the dynamic social environment he lived in. 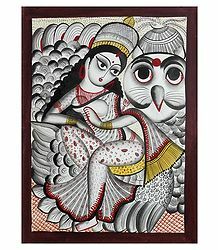 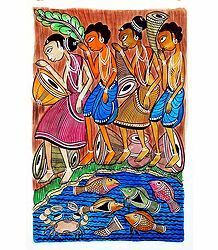 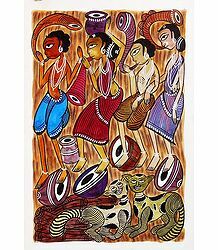 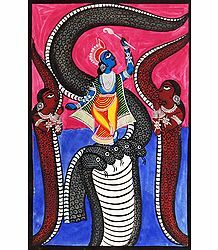 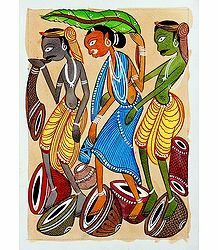 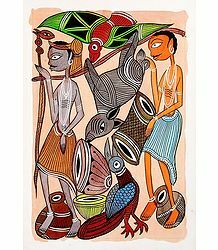 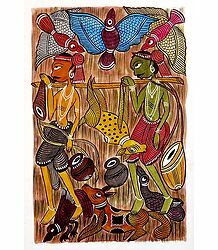 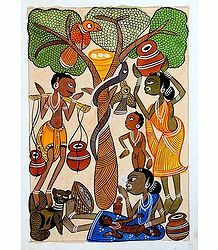 Here you find the best of Indian art painting in this collection of folk art painting from various regions of India. 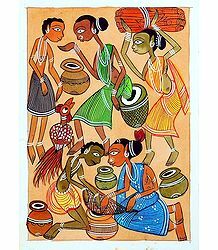 This Indian painting depict Indian life through various schools of Indian art. 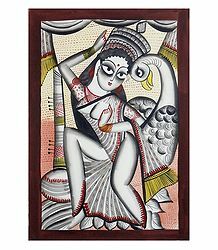 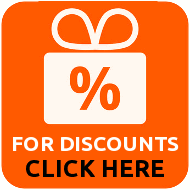 Some painting have a very old style and some are relatively modern painting.